Possible boondocking sites across the lake. Not sure if you need a permit, or not? Caballo Lake is 11000 acres a 1 1/2 across, and 11 miles long. Stocked with bass, catfish, crappie, and walleye. Hmmm fishing license? Looks like most the State parks are right on the lake. You can camp wherever you wish unless theres hook ups then theres a fee. People even set up tents on the boat launch. The Turtle parked in the primitive camping area, which is huge, very quiet. Except for a few fisherman on the weekends. Definitely four legged friend friendly. Hope the rest of the parks have such open camping. Huh? Thanks for visiting! Good day! Hey Jo! Yeah you'll need a separate license on the reservation lakes. Yeah I know need to have a license just contemplating if it'll be something Ill use all summer or if its a whim. Happy trails! nm requires a license if you are 12 or older. i think. i didn't hurt myself there. Yep $53 for a non resident. Still pondering. Hey Ryan, since your already in New Mexico, have you heard about the Forest Fenn treasure. Just alittle hiking around and It could all be yours. Theres a few people looking for it and the have a chat page on the web. If you havn`t heard of it you may be interested. Thanks Dan! Interesting stuff been googling it this morning. Hopefully Ill stumble across it on one of my hikes. Have you heard of geocaching? They might have that with the NM state parks, which makes another cool thing for you to do on your hikes! We have it in North Carolina and it is pretty cool with the kids here. Hey Anne, Yep heard of it. Never really looked into it. Guess ill have to do a little more investigating. I thought that rig looked offlaly familiar. Now I know why :) Have fun at riverside havent checked it out, but already heading north. While you're there, be sure to check out the south end of the lake near the dam. Above the dam is Percha Flats for dry camping, and below the dam is Riverside CG which includes dry camping along the Rio Grande. Both are considered part of Caballo Lake SP so won't extend the two week limit. 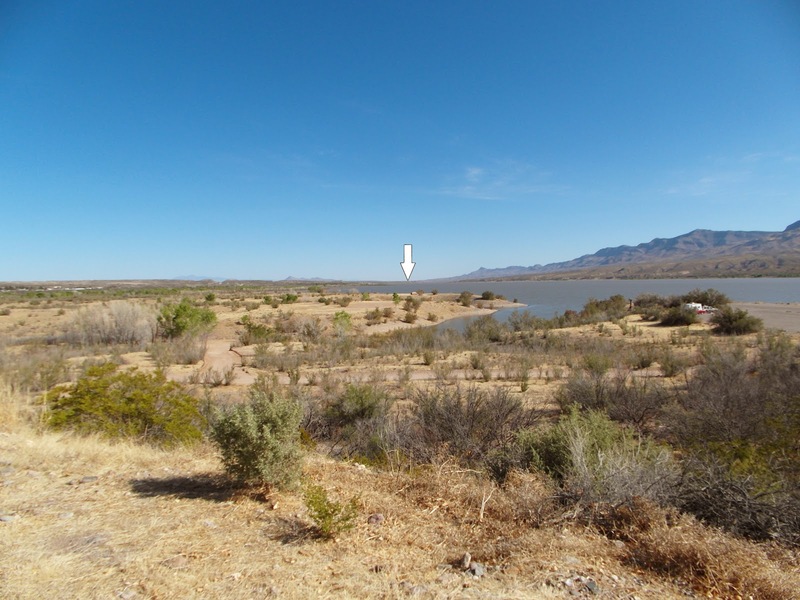 If you're headed to Elephant Butte Lake State Park, the best camping is on the north end. South Monticello is a much nicer campground than Lion Beach. Also, a lot of dry camping locations toward the north end you'll need to explore.